We’ve known since early last year that the Solar Decathlon, the biennial event showcasing the best in energy producing, student-designed houses, was no longer welcome on the National Mall in Washington, D.C. due to concerns over wear and tear on the “nation’s front yard.” The 2011 Decathlon, won by the University of Maryland, was pushed to a far corner of the Mall between the Tidal Basin and the Potomac River midway through the design process, causing outcry from student teams who were finalizing their house designs. 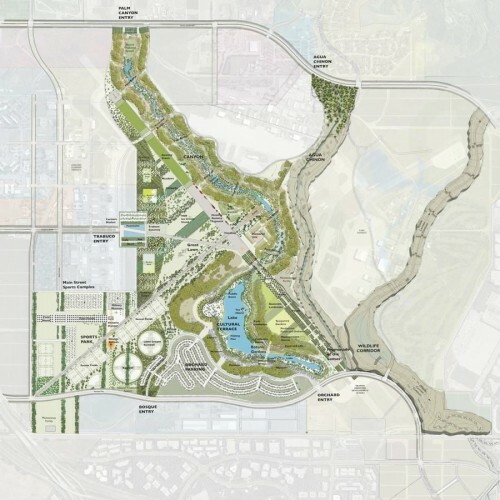 Officials later announced that future Decathlons might leave D.C. entirely, and today, Department of Energy Secretary Stephen Chu confirmed that it will be moving about as far away from the Mall as possible—to the Orange County Great Park in Irvine, California between Los Angeles and San Diego. 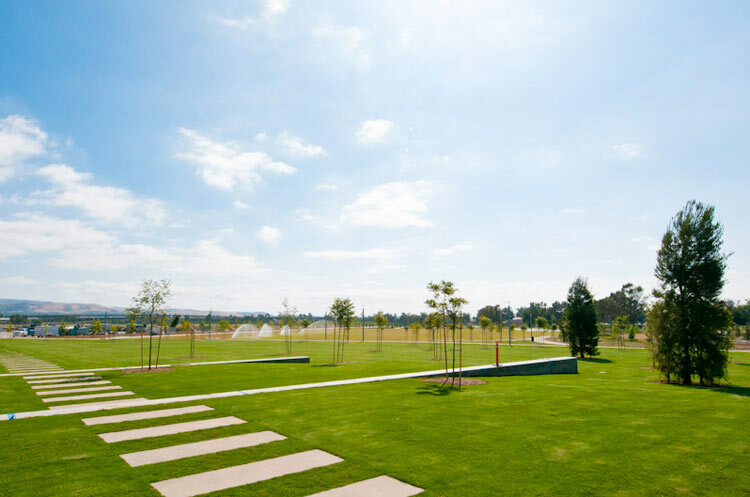 Orange County Great Park, comprised of 1,360 acres of recreational area designed by landscape architect Ken Smith and built on a former air field, has been taking shape over the past several years, with a new 7.5-acre Palm Court and 18.5-acre North Lawn already complete. We still found it curious, however, that the Department of Energy noted the site’s “ample visitor parking” and direct freeway access considering arriving by car might be the least sustainable way to access the exhibition. The Department of Energy said the decision to move the Solar Decathlon site was based in part on extending the audience of the fall exhibition of houses. 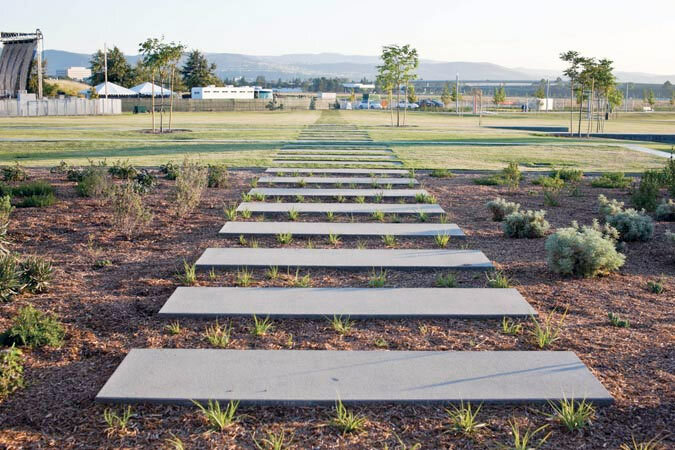 The Great Park also incorporates environmental concerns into its design, including undulating bioswales filled with native plants that help to store and filter water runoff. The $65.5 million first phase is expected to be complete this year after a series of athletic fields are finished. AN‘s West Coast Editor Sam Lubell visited the park last October to check in on its progress and noted the strengths and weaknesses of reclaiming a disused airfield. Future phases of the park could take another 15 to 20 years to complete. While the new location might lack the prestige of the grand allée leading from the U.S. Capitol building, the California site will make the sustainability showcase more accessible to a new audience on the west coast, and it seems safe to bet that the student teams (listed below) should have no problem juicing up their solar cells in sunny SoCal.